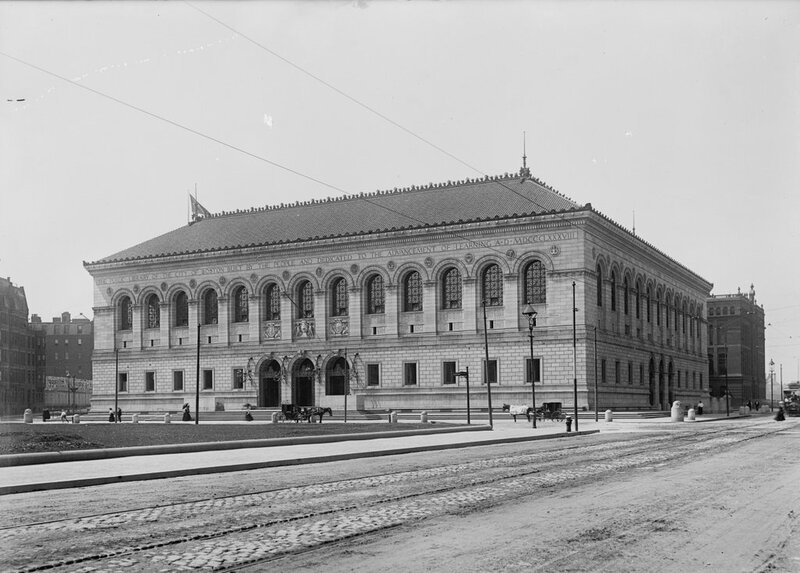 The Boston Public Library’s McKim Building at Copley Square in 1899. Image courtesy of the Library of Congress, Detroit Publishing Company Collection. 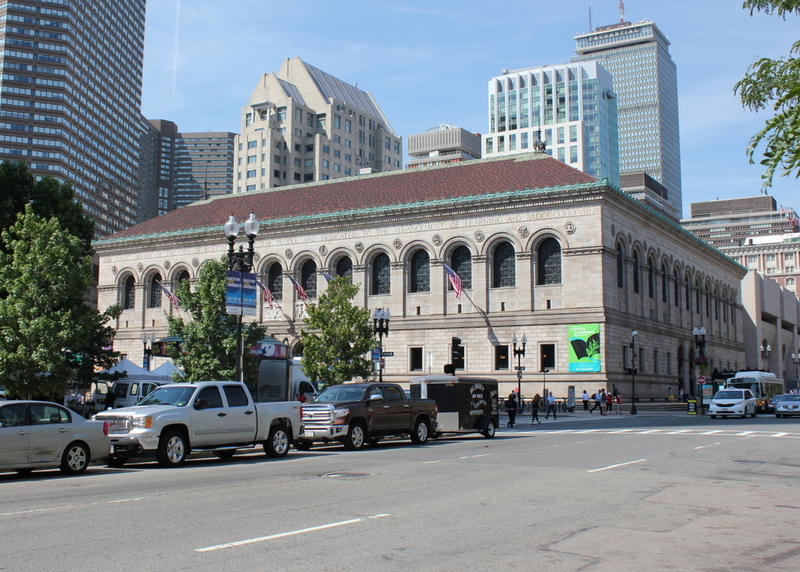 This style of Renaissance Revival architecture was common for public libraries in the United States in the early 20th century, but Charles Follen McKim’s design for the Boston Public Library was the first. It was constructed between 1888 and 1895, and is one of the most architecturally significant library buildings in the country. It set the stage for similar grand libraries in American cities, including the main branch of the New York Public Library, which opened just over a decade later. 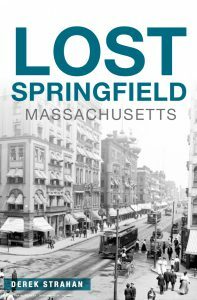 Like many of Boston’s other cultural institutions, the library was strategically located in the Back Bay neighborhood, which had gone from polluted tidal marsh to affluent residential neighborhood in less than 50 years. However, one of the challenges in constructing large buildings here was the high water table and the tendency of the filled-in ground to subside. As a result, the 19th century Back Bay buildings are supported by wooden piles; the library alone has about 4,000 piles that were driven 25 to 31 feet into the ground in the 1880s. Today, the McKim Building is well-preserved on both the exterior and interior. The interior includes a grand staircase and the massive Bates Hall reading room, along with a central courtyard, all of which was, as the inscription reads, “dedicated to the advancement of learning.” The main branch of the Boston Public Library has since outgrown the original building, so in 1972 an addition was put on the back, expanding the building to include the entire city block between Dartmouth and Exeter Streets. Named after its architect, Philip Johnson, this building houses the library’s circulating collections, leaving the original building for the library’s extensive research collections. Many of these collections are also available online, including a massive collection of historic photographs on Flickr that has been a great resource for this blog. The greatest change in this scene, however, is the city around the library. The secion of the Back Bak to the north of Boylston Street has been largely preserved in its original Victorian appearance. However, to the south of Boylston Street, as seen here, the area has become home to some of the city’s tallest buildings, including the Prudential Tower to the right, the second-tallest in New England after the nearby John Hancock Tower. Probably the oldest building in the 2015 photo other than the library is the Lenox Hotel, barely visible on the far right beyond the library. 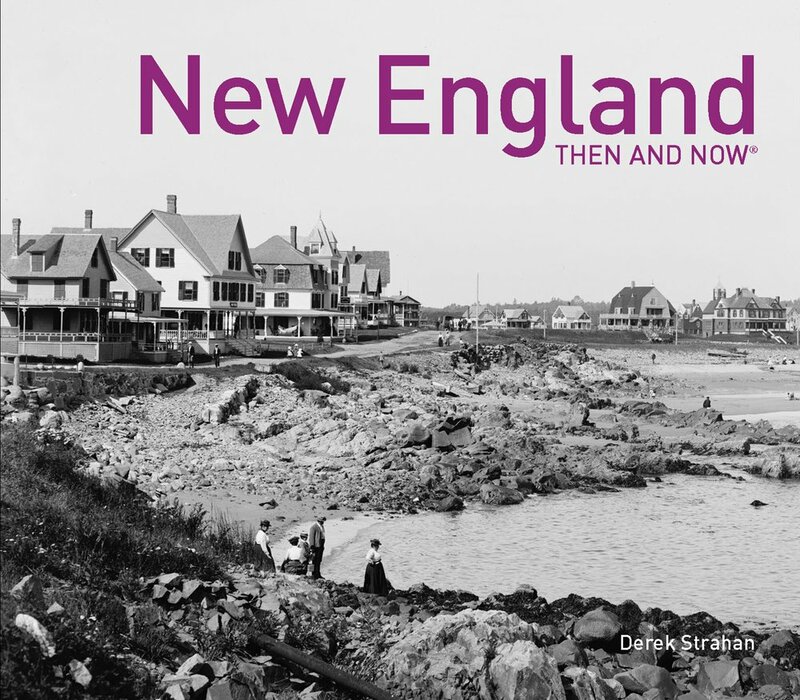 It was built in 1900, so it may have even been under construction when the first photo was taken.